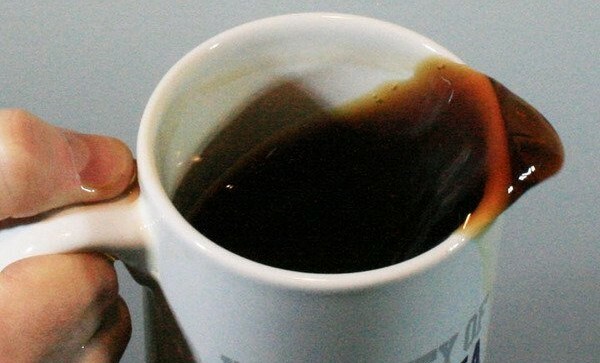 Scientists at the University of California at Santa Barbara have just published a study revealing how not to spill your coffee when walking. Apparently the human gait moves at roughly the same frequency as coffee sloshes back and forth in a mug so each step amplifies the coffee’s sloshing. But these scientists have developed a number of recommendations to solve the problem, which include walking slower, looking at your mug instead of your feet, and accelerating gradually. Make sure and vote in the caption contest. If you don’t vote, you’re part of the problem! I know some husband’s give their wives a gift for Mother’s Day but I’ve always found this odd because your wife is not your mom. The kids are in charge of taking care of mom on Mother’s Day. I’ll be in charge of disappointing her on her birthday and our anniversary. And it seems a bit mean-spirited to give a Mother’s Day gift to my wife when I didn’t even give one to my mom. Parents, if your kids don’t have the organizational skills to put together a card and make you breakfast on Mother’s Day and Father’s Day without your help, then maybe this is an ironic testament to your poor parenting. I’m not convinced they really thought the “stare at your mug while you walk” recommendation through. Wouldn’t that make you run into people? Sure, you wouldn’t have to worry about a little coffee sloshing out of your cup most of the time — but every so often, you’d have a collision, and coffee would fly everywhere. I, for one, am going to follow the scientific reccomendations for not spilling coffee to the tea. Be sure to follow previous studies which determined the best biscuit to dunk in the tea too. For the tens of thousands of pounds spent on research, we may as well follow these guidelines to prevent spillage and soggy biscuits. Good point, Joe. I do hope they perform a follow-up study which learns me how not to burn my tongue while drinking too-hot coffee. Because I have always been baffled by that. How long do I let it sit there and cool? Should I blow on it? If so, how hard and for how long? And what is the exact temperature I should strive to achieve? Science – <please don’t let me down on this one. – as it should be. damn selfish nurses. They never sponge you properly, anyway. To quote Monty Python, this new learning amazes me. GOSH. It’s no wonder they haven’t figured out time travel yet. There’s always a problem child…and they get the grant money to study stuff like this? “…maybe this is an ironic testament to your poor parenting.” So my Mother’s Day gift will be the realization that I’m a failure as a parent??? 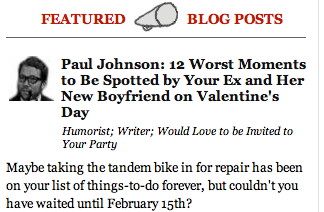 Thanks for that, Paul. I hope that the scientists were well-funded. Stuff like that is critical to the survival of the human race. Oh, and I say that if a woman gave you babies, thus becoming the mother of your children, she deserves props from YOU on mother’s day. Also, The End. The best way that I’ve found to not spill my coffee, while walking, is by making someone else carry it. Then the sloshing is THEIR responsibility… not mine. But, being that I don’t actually drink coffee…. the coffee was never really mine to begin with. Truth be told. I like to walk busily next to people carrying coffee to make it seem as though they are carrying it for me. Actually I find NOT looking at the mug but looking straight ahead is the best method. I think that this research is a conspiracy to put carpet cleaners out of business. I’m very suspicious. How about just putting less liquid in the cup…or better yet, just put a book on your head to distract you from spilling the liquid?? Thank God you’ve shared the science behind spillage. Now, if only you could share the science that explains clumsy, I’d be thankful, indeed. I agree completely with your comment about husbands not buying gifts for their wives on Mother’s Day. I don’t think wives should by husbands gifts on Father’s day either. This has alway been one (of many) of those things I could never get anyone to agree with. See, all of this spillage could be avoided if people would just get an IV like I do. And I think you’re wrong about a wife not being a man’s mom. Eventually, don’t they all become that in the end? Great news! Next time someone asks me why I am taking so many breaks to get coffee, I could respond that I am doing scientific research. When we apply our understanding of the physics of motion in new ways, it’s impossible to predict where else it may become useful. 4 years in Marching Band will teach you a lifelong rolling step suitable for racing your coffee, forward, backward or sideways. I find that a child’s sippy cup works the best. Don’t want to lose a single drop of that precious elixir! Awesome study. Wish there was a link to the actual paper. That would be a hoot. Still, I don’t get this whole motion thing. Other people can walk before they have their coffee?? Actual study linked below. It’s not “physics for dummies”, that’s for sure! My solution is just to drink the coffee beside the coffee machine… no travel, no spillage! My boss freaks out saying he’s not paying me to drink coffee and then I point out that he pays me considerably less than the rug cleaning squad he’d have to hire. I also find that when I really have to walk and drink coffee at the same time, potting a spoon in the cup interferes with the sloshing. It is still on you, you know! My husband brought home a calla lily, a flower from our wedding, and will take me out tomorrow with the kids! I want a follow-up post Mr. Greatsby! Send happy Mother’s Day wishes to Mrs. Greatsby! BTW- somehow I didn’t realize that I was a finalist in the contest. I am pulling out all the stops; probably too little too late. Maybe you could mention my need for votes and put in a good word for me with the Fonz and Optimus Prime! Who cares about a cure for the common cold when we are provided with valuable info like this–and not just simple information like “put a lid on it.” Thank, science, indeed! If the coffee problem is that “the human gait moves at roughly the same frequency as coffee sloshes back and forth in a mug so each step amplifies the coffee’s sloshing”, and we should change our gait, then we can solve two of life’s biggest problems with one switch. Start running with coffee, and walking with scissors ! Someone told me once to put a spoon in the cup and that prevents it from spilling. However being exceptional at clumsy I still have not succeeded.